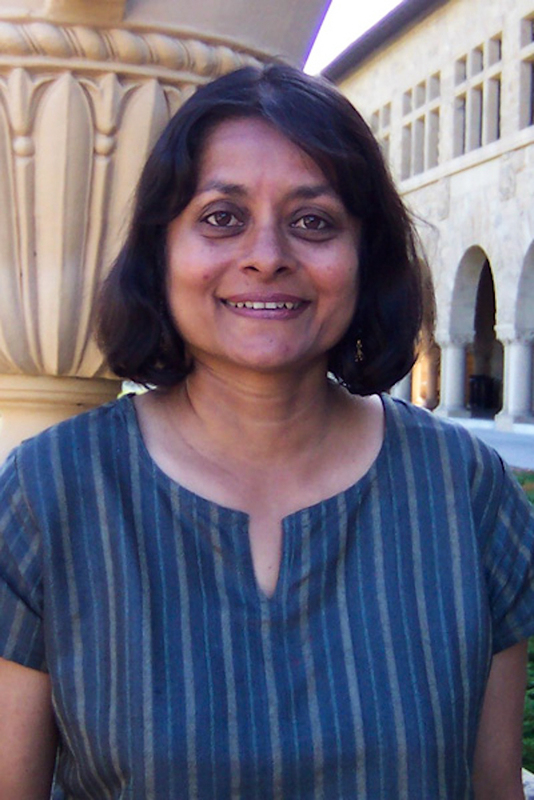 Nalini Ambady, professor of psychology, passed away last week on Oct. 28 at the age of 54. Ambady’s well-publicized search for a compatible bone marrow donor in the last year of her life—prompted by a recurrence of leukemia—reflected the solidarity that she inspired among those she knew as well as her unfailing concern for others. Ambady was a pioneer in exploring how extremely short impressions, or “thin slices,” can often lead to highly accurate assessments. In one of her most well-known studies, subjects who watched silent 30-second video clips of lectures gave similar teacher evaluations to those given by students who had been in a class for months. “She was really innovative and not afraid to move into new territories, and let the work and ideas carry her into new places,” said Jennifer Eberhardt, associate professor of psychology. Born in Calcutta, India, Ambady came to America to obtain an M.A. in psychology from the College of William and Mary, and a Ph.D. in social psychology from Harvard. Since that time, she held associate professorships at College of the Holy Cross and Harvard, followed by professorships at Tufts and finally Stanford in 2011. According to Brent Hughes, a post-doctorate fellow in her lab, Ambady created communities wherever she went, including her lab at Tufts and her time at other universities. In the first six months of her time at Stanford, she purchased a bike and a textbook for financially challenged students. According to Aneeta Rattan, who worked with Ambady in one of her classes while a post-doctoral fellow, Ambady’s main focus was to engage her students on their own terms, respecting each individual. Rather than being blindly assigned to groups for projects, for example, students engaged in “research speed dating” to get a good sense of the other students’ interests. When Ambady moved to Stanford, a lab space was built for her where those who worked with her could communicate freely and develop friendships. According to Hughes, Ambady continued to show a deep interest in her students and their projects, even as she went to Boston for treatment. While at Stanford, Ambady founded the Social Psychological Answers for Real-World Questions (SPARQ) foundation. According to Alana Conner A.M. ’01 Ph.D. ’02, executive director of SPARQ, the program focuses on creating and sharing social psychology innovations for people working to improve society. Ambady is survived by her husband, Raj Marphatia, and daughters Leena and Maya. According to Eberhardt, she thought about her work as a part of her personal life, eliminating barriers between her research and her family. Her daughters knew her students, and witnessed how much joy her work brought her even when she was sick, Eberhardt said. According to Hughes, she invited students who couldn’t go home for Thanksgiving to eat dinner at her house. Late last year, Ambady learned that her leukemia that first appeared in 2004 had come back, according to Taylor Phillips, a third-year graduate student who worked with Ambady in psychology department and played a large role in coordinating the bone marrow campaign. According to Hughes, The following months witnessed Ambady’s extended academic family coming together to conduct bone marrow registry drives, with drives eventually occurring in India. Hughes and Phillips said many minorities, including South Asians, are severely underrepresented in donor registries. The drives were held with the goal of recruiting a diverse group of donors. Ambady was reluctant to accept donations and was pleased that others in a similar situation could be helped, Hughes said. Unfortunately, she did not find success. Some of the identified matches were ruled out after more detailed investigation, and the rest of the matches backed out for various reasons, according to Phillips. However, the campaign laid the groundwork for long-term change. SPARQ has begun an initiative called Be the Donor to improve recruitment and increase retention of bone marrow donors. Ambady will remain an inspiration for those who knew her.